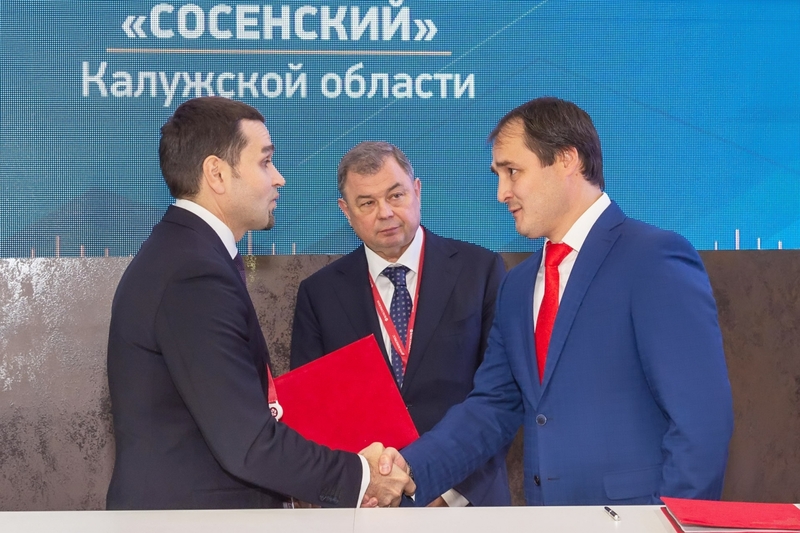 Two Russian companies, Alt-Profi Plus OOO and Spetssplav OOO, became residents of a priority social and economic development area (PSEDA), established in Sosensky, a single-industry town located in Kaluga Region. Relevant agreements on construction of light industry and metallurgy production facilities were concluded between Kaluga Region Government and top management of the afore-mentioned companies. 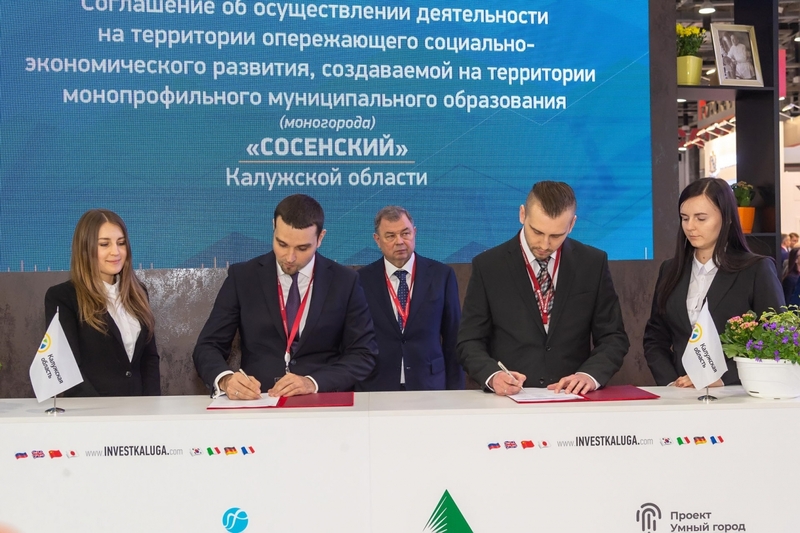 The agreements were signed by Ilya Veselov, Minister for Economic Development of Kaluga Region, Alexander Muratov, Director General, Alt-Profi Plus OOO, and Dmitry Anosov, Director General, Spetssplav OOO. The agreement concluded with Alt-Profi Plus provides for construction of a factory to produce clothing for children and teenagers of Russian-made natural and wear-proof fabrics. The scope of investments is to reach RUR188 million. Alt-Profi Plus factory is to produce children clothing of wool and cotton cloth, knitwear and denim for preschoolers, children and teenagers. The company’s primary markets are Russia and the CIS countries. The agreement with Spetssplav provides for commissioning of a plant for light alloys’ casting. The company is to invest RUR3.3 million in the project, 25 new jobs are to be created. The company’s products are to be supplied to casing plants. The facility is to reach its design capacity by Q4 2019. In the future Spetssplav plans to manufacture new products being in demand in various industries, namely engineering, construction, oil and gas production, railways. 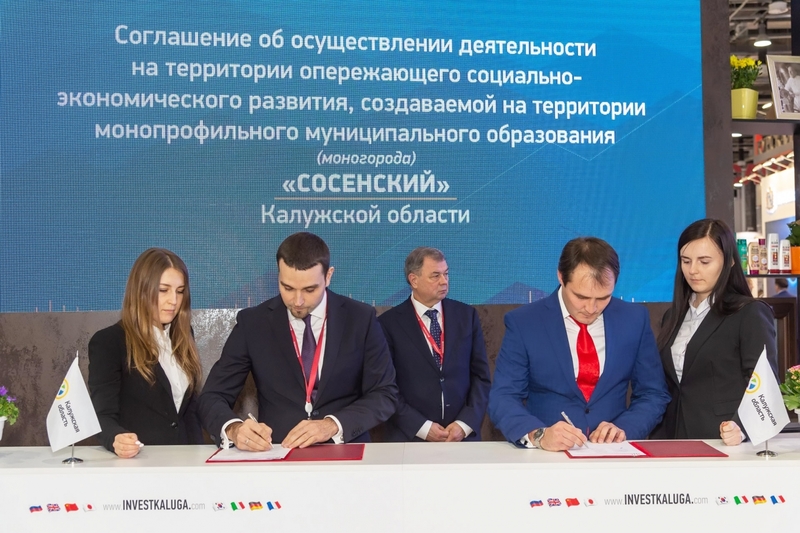 Kaluga Region Government establishes priority social and economic development areas (PSEDA) in order to promote investment activities in single-industry towns and to ensure economy diversification. The town of Sosensky received an official status of the priority social and economic development area late in 2017. Kaluga Region Government currently holds negotiations with several dozens of potential investors of the region’s PSEDAs. The companies represent IT sector, food industry, light industry and metal processing industry. The establishment of priority social and economic development areas promotes the development of small and medium businesses, donates to creation of new jobs, and makes the life of local residents more comfortable. PSEDA’s residents enjoy special tax benefits and administrative preferences. Companies planning to invest RUR 2.5 million and more are eligible to get a status of Kaluga Region PSEDA resident.